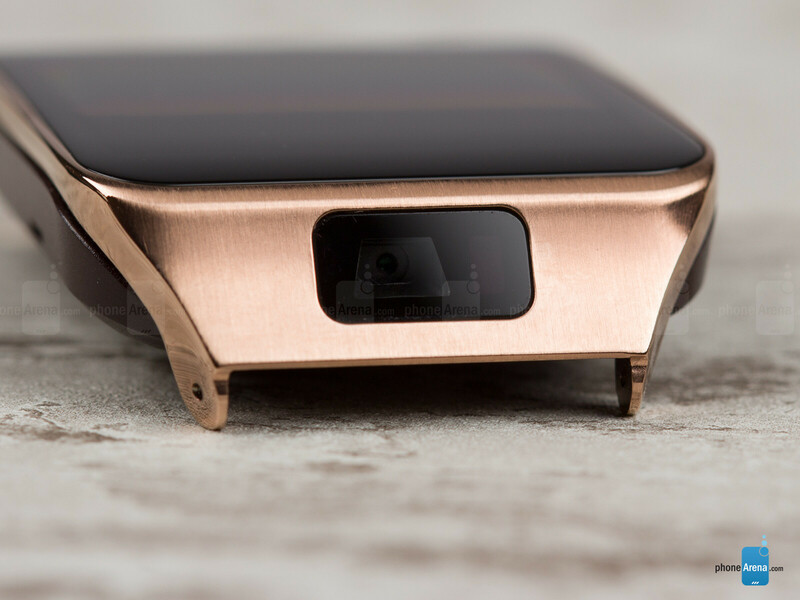 A little over a year ago, an unknown company called Pebble, put itself on the map after it managed to deliver on its crowd-funded campaign on Kickstarter, and released what was one of the very first modern and actually successful smartwatches. The company was overwhelmed by the demand, and that's as good an indicator as any to a big-shot incumbent that the age of the wearables is drawing near. The response was super-quick – Samsung announced its fancy-looking Galaxy Gear smartwatch alongside its Galaxy Note 3 in September last year, and yet consumers were seemingly unmoved. Despite the parts that Samsung had gotten right – a color display instead of monochrome, for one – it was undeniable that the Gear felt rushed, and lacked the breadth of functional applications of the Pebble. It was also expensive, and very picky about the devices it could pair up with (read: Galaxy Note 3 only at launch). Today, we'll be taking a look at the follow-up – the Gear 2 – in an attempt to assess whether Samsung learned from the whole experience. At $299, it is still one of the most expensive smartwatches out there, but a precursory look does indicate that Samsung has improved its wearable in several key areas. So, has the Gear 2 become a functional enough device as to rank high on your list next time you go smartwatch shopping? Let's find out. While the Gear 2 by no means introduces a plot twist with its design language compared with the original Galaxy Gear, quite a bit has changed, and exclusively for the better. The face of the watch looks much sleeker and cleaner, unencumbered by the four screws that kept the original together. The power/home button has also been moved to the front, and is now much larger, and significantly easier to operate. As before, the viewable part of the face is all glass and metal, and holds a 1.63-inch 320x320-pixel AMOLED display, which is both detailed enough and can get sufficiently bright for use even under direct sunlight. But the improvements in design didn't stop there. The camera, for example, no longer protrudes from the strap, and, alongside the new IR blaster, is now neatly nestled at the end of the physical body of the Gear 2, immediately before the strap. 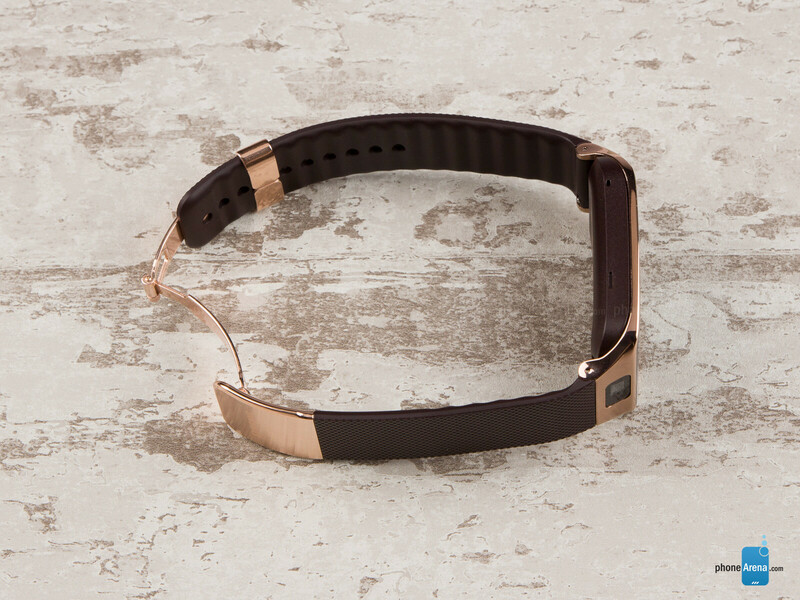 Speaking of the body and strap, those have both seen some slim-sizing – the body itself is still plastic, but it's also thinner and IP67 dust- and water-resistant (and houses a heart rate monitor on the bottom), while the strap comes with a much smaller and classier-looking clasp. Moreover, the strap can now be replaced with any standard 22mm one. Samsung has narrowed the number of color options down to three – charcoal black, gold brown, and wild orange. Exactly. Unless it allows me to not have to pull my phone out of my pocket (which is what my bluetooth does for talk & text) then I don't see a need for a smartwatch. I see we don`t need it yet you are right . Same rating as Sony Smartwatch 2? Sony's smartwatch is more useful, and stylistic..
...and also in many places cheaper. 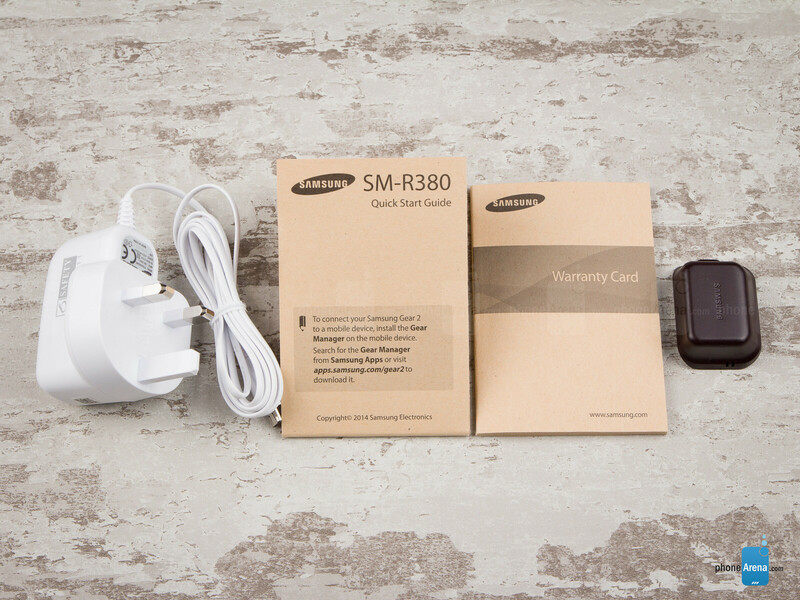 Where I live SW2 is €190=$263 vs Gear 2 €350=$485 (which is 99% confirmed launch price). Smart Watches still have a long way to go. i want a gear 2 vs m8 camera comparison. I still don't understand the use of a smartwatch. Why would I want to see notifications on a watch when I can just pull out my phone and check it? 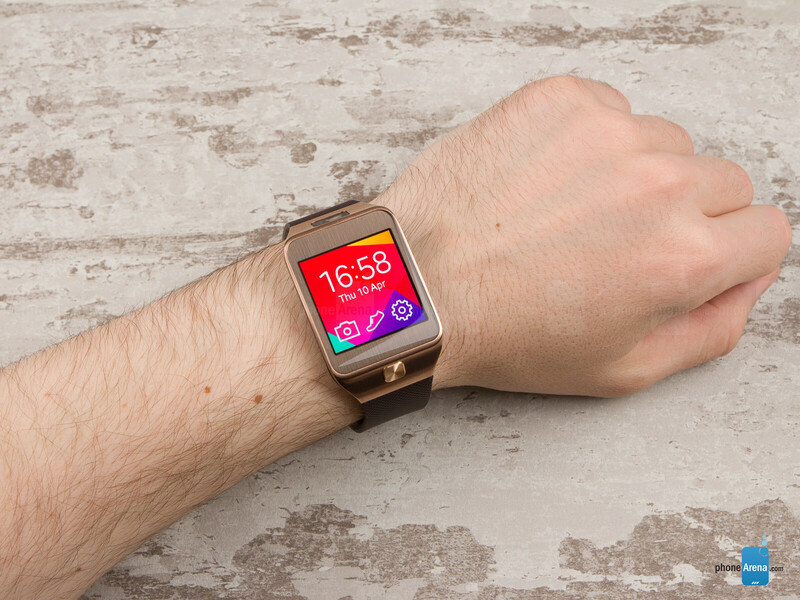 OEMs should provide a compelling reason for purchasing a smartwatch. Till then I don't see them selling much. For those don't get much notifications than the appeal is limited. I get alert every 15 or 20 mins. 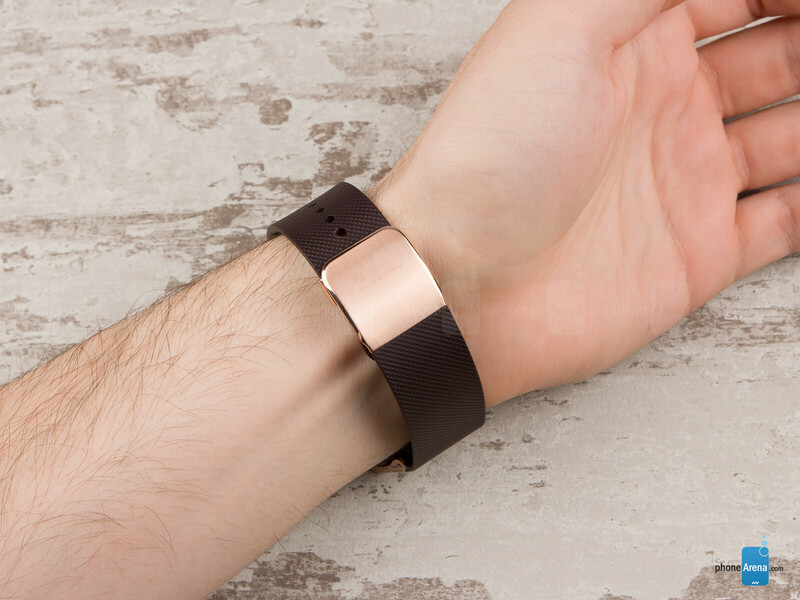 With an alert on the wrist I never miss any important sms or app alert. Its always much easier to twist my wrist then to take out my phone. So I want a smart watch and have gear 1 and Sony smart watch 1. Waiting for my Neptune Pine, Hot watch and Agent. Samsung Gear Fit will monitor it as its more of a Gear Stylish. think of it as a premium swiss/Italian/german handmade mechanical/quartz watch that costs upward of $300 and needs maintenance and battery replacement every few years just to stay accurate. think of it as really nice watch that not only tells time, but shows notifications, measures your heart rate/calorie intake, stays constantly synced to an atomic clock and needs to be charged every week. Convenience? Do you respond to every one of your notifications? One of the biggest killers for smartphones is screen on time. Using smartwatches stopped me from taking out my phone anytime a new message comes in. I only take it out unless I am responding to it and in which case with the Gears, you can have the app corresponding to that notification come up without having to go through your app list. It pulls it up automagically. I can also dial out, answer phone calls, do voice searches, track my steps and distance plus with the 2 and Neo I can use it as a universal remote. It's not going to replace my phone but it does keep me from having to pull it out of my pocket every 10 minutes. I pay to upgrade to the Gear 2 as I've gotton excellent performance from my Gear 1. I love the styling of this device. I just went to Best Buy today for something else, but I noticed the Gear 2 there so I went over and checked it out. I have to say, they are a lot more impressive in person. For some reason, the pictures online make them look much bigger and clunkier than they really are. I was also really impressed with the wristband. I am not going to sell my moto X just to get one, but I do think people should check them out in person before judging them. I would have no problem wearing either one of them and I really didnt like their looks when I had just seen pictures of them. This is an opinion from someone who just loves tech and couldn't care less about the rise or fall of any one company.